Ruby Fieldmaster is a true premium diesel that's expressly formulated to handle the rugged challenges of farming - from unrelenting time constraints to grueling loads and heavy PTO demands. That's why leading producers have relied on its proven benefits for decades. It's an investment that pays for itself, plus it's backed by the best warranty of its kind in agriculture. 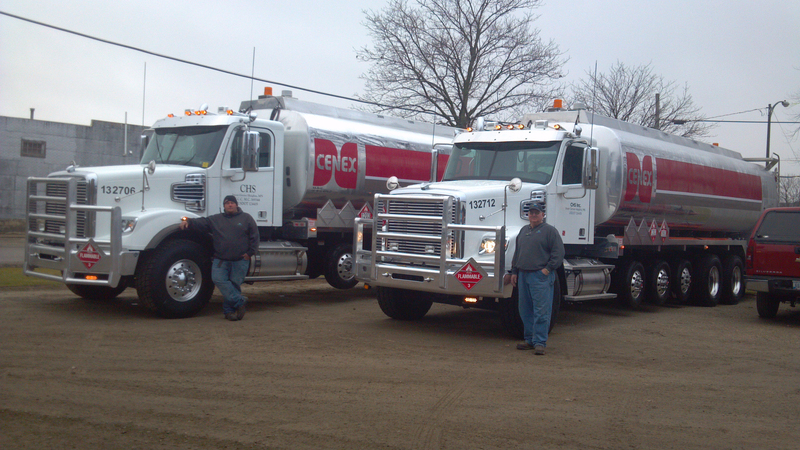 Each year, Cenex Wintermaster Winterized Premium Diesel Fuel delivers over 100,000,000 miles of trouble free performance. Developed for customers in extremely cold climates, it's specially formulated to keep diesel-powered equipment going strong in severely cold conditions. Wintermaster provides operability in temperatures as low as -30° F while optimizing power and engine performance. Advanced performance and extreme low-temperature operability, as low as -30° F.
Agricultural users enrolled in the Cenex Total Protection® Plan will also be happy to know that they can use Wintermaster as their Cenex premium diesel fuel - providing great diesel fuel performance along with great warranty coverage. Winter Master is available in clear or red diesel.